Today marks the last day of Max being in year 1, which means it's the start of the school holidays! This summer we are trying to cram in as much as we can. Scott is going to be working pretty much full time, leaving me and Max to tick things off our summer bucket list. I love to sit down with him just before the summer holidays starts and pick his brains about little and small things that he wants to do in the summer. I'm quite sneaky in the sense that I've not told him half the things we have planned, but with him knowing it normally means he asks when we are going constantly. I've tried to keep our bucket list short and sweet. 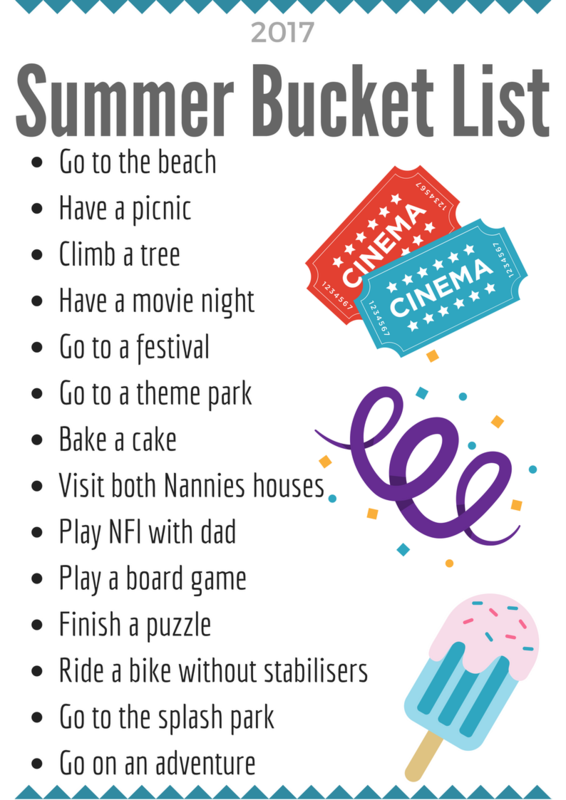 There is a great mix of simple things such as climbing a tree and baking a cake that we can do a few times over, whilst some others like going to a theme park which will be big treats that he won't expect. I'll be ticking off our bucket list on Twitter and Instagram and can't wait to see what everyone else is up to on their summer breaks!